Watch Live TV on your Smartphone Using Zenga TV which allows us to stream Live Channels. Most of your Smartphones comes with 2G, 3G and Wi-Fi which allows to watch TV. To Stream Live TV on your Smartphone first of all your Phone set must be enable with any one of the network Connectivity Like 3G or Wi-Fi. Zenga TV is a mobile applications designed for Android Smartphone which allows users to stream large number of Indian Television Channels for free. Zenga TV plays through your default media player. 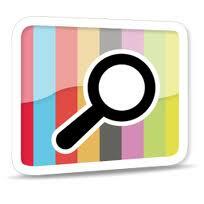 There are variety of Channel for watching Live Movies, Music and News etc. Streaming of data depends on quality of reception, it is better to use 3G or Wi-Fi with High Speed. The Streaming is clear and Sound Quality is also Good. 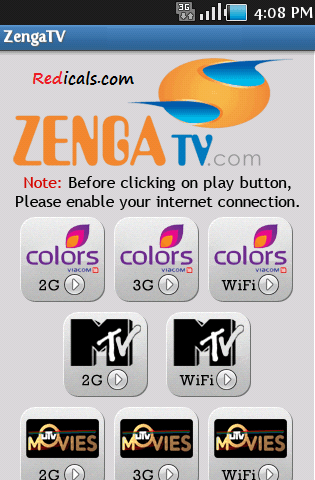 Some Channels Plays in English and Hindi.Using Zenga TV you can Receives free Channels for Lifetime. Colors, MTV, UTV Mobiles, Aaj Taj, Headlines Today, IBN, CNN IBN, CNBC, IBN Lokmat, Home Shop 18, UTV Bindaas, CNBC, News24, E 24, NDTV 24X7, NDTV Profit, NDTV India, Filmy, Sahara One, 9XM, FTV and many other channels.